Everyone has to start somewhere in this business and you must have the right information from the very first day if you want to become successful in this business. You don’t need to know everything all at one time nor could you. You don’t have to learn how to trade every asset class and how to become an expert in every conceivable aspect of trading. You should concentrate on becoming a specialist versus being a generalist. 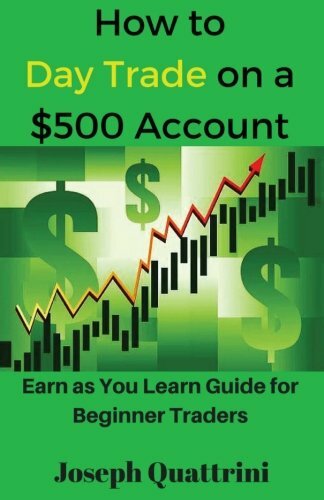 This book is short, sweet and gets right to the point and tells you the basics of what you need to know to get you in the driver’s seat of your own money train and how you can begin trading the live markets on as little as $500. You want to learn to trade and invest right? You want to make money and have a lot of freedom right? Do what it says in this book and you can be on your way to giving yourself and your family the best life you could ever imagine all from the comfort of your own home perhaps. I walk from my bedroom to my office and that is my commute to work for the day. Can you get your head around that? This book gives you clear concise information it would take you years to find out on your own before you could begin to have any chance at making a real income from the live markets. The live markets are not for the weak minded or untrained and should you decide to go in there underfunded, unprepared or under prepared as a beginner retail trader only one thing will happen, you’ll get FUBAR. Don’t be that trader!